Virgin Nuts is a specialist nut coating producer that is rapidly moving into the retail, wholesale/distribution and food industry sector of the food market. Our products always fit your customers' budget. Flexible packaging solutions. Serving bulk with a short lead time. Always fresh products for your customers. Crunchy coated nut pieces in your product are like the icing on the cake. From USA to China... from raw nuts to rice crackers, dried fruit and more. During the summer months the Virgin Nuts truck can be found at (annual) fairs and special events. In our specially designed nut truck, we can mimic the production process and bring the delicious taste and smell directly to the visitors. 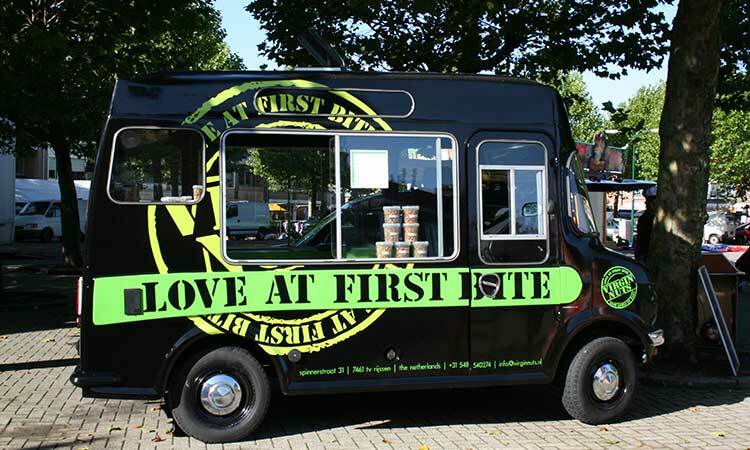 You can rent our nut truck for special occasions, such as weddings, birthday party's and (other) private or business events. Combined with your own label, a cup of Virgin Nuts is a perfect, original and delicious wedding favor or farewell gift. Contact us for more information: info@virginnuts.nl. Starting your own business? But what and how? Weighing the pros and cons, you see opportunities and drawbacks. But the more you are pondering over the options, the more it clicks. Franchising offers you a chance to own, manage and direct your own business without having to take all the associated risks. 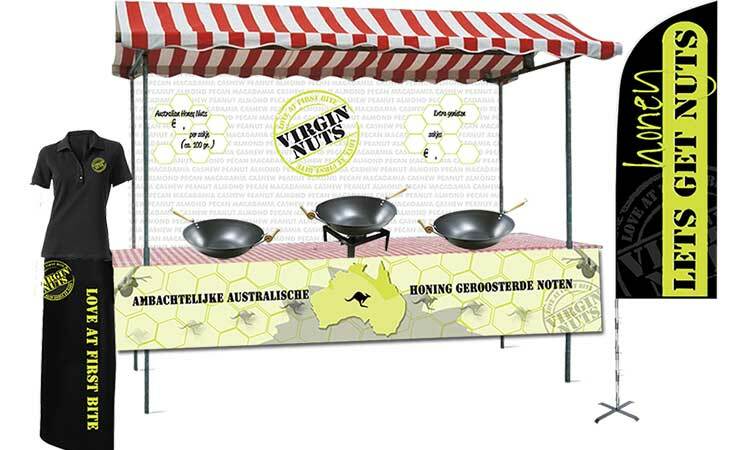 Early 2011 Virgin Nuts started a franchise formula selling nuts at fairs, events, Christmas markets, etc. 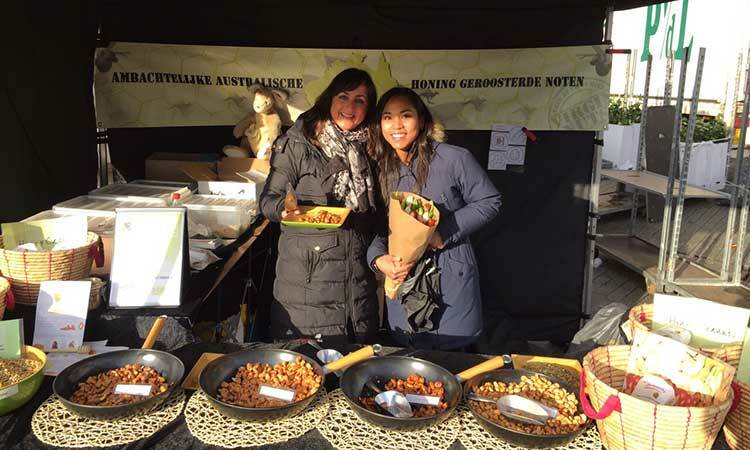 Our concept is outstanding with well decorated market stalls. Your and our success is supported by a professional organization and a successful, well-thought franchise concept. We customize our products and processes to meet the requirements of a wide variety of taste buds. That's why you find our products in many retail shops (like supermarkets) in the whole of Europe. Our products are perfect as a stand-alone product or in a mix. Our Pick & Mix concept is a great hit. You can create your own perfect mix that meets your quality and price level. 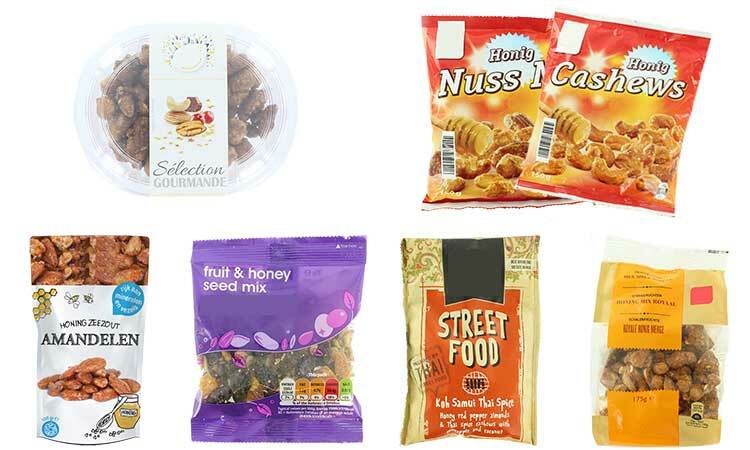 We can offer our products in various packaging, like doypack/stand-up pouches, block bottom bags, pillow bags, quatroseal and cups (or your prefered packaging), with your own private label or with our Virgin Nuts label. There's more than just filling shelf space... We have well-proven ideas to increase your turnover. Not only as a standard product, but our products can be (season) specials too. What about gingerbread almonds in winter? We'd like to get in touch with you to exchange ideas and cooperate on your success. We deliver our nuts via wholesale and distribution throughout Europe. 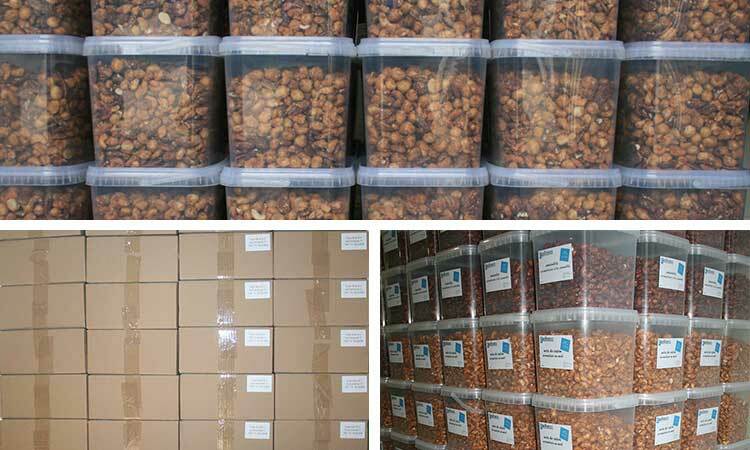 Whether you are looking for bulk (from 50kg to containers) or consumer packaging, private labeling, mixed pallets or contract based ordering, it's possible at Virgin Nuts. Spot or contract buying? You can choose what's most convenient for you. Or maybe you prefer contract coating? You deliver the nuts and we coat them for you. Your order is ready for transport within 1 working day after production, so that products are as fresh as possible when they get to your doorstep. Serving your customers with only the most fresh products, we rather deliver 5 small orders over 1 big order. No need to fill up your warehouse; our lead times from order to production are short. Many manufacturers in the food industry rely on Virgin Nuts for their coated nut ingredients. In sizes starting 4mm Virgin Nuts supplies the ingredients with a great roasted texture as an ideal barrier which locks in the flavour. 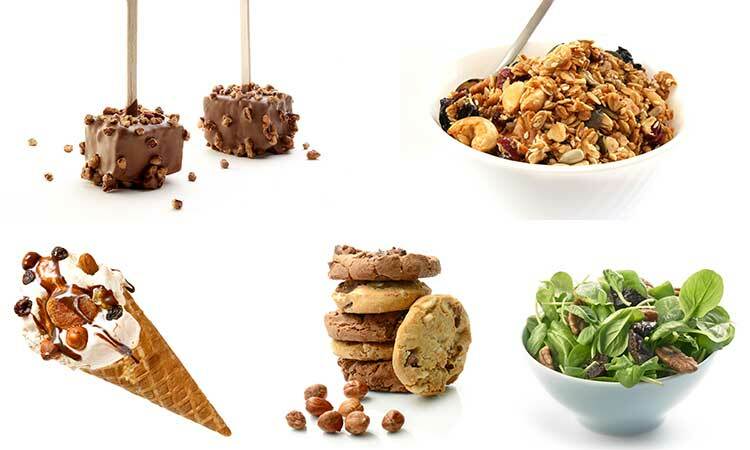 Therefore our coated flakes, dices, pieces and kernels are perfect as an ingredient for use in many applications, such as ice cream, chocolate, yoghurt, bakery, cereals, confectionary, etc. 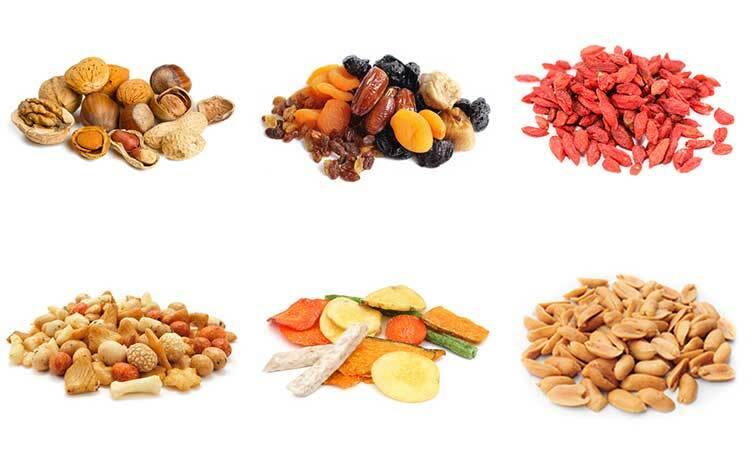 Besides our core business - coating nuts - Virgin Nuts trades the best quality of raw & coated nuts and dried fruits. Our wide selection covers the entire world. From salted peanuts from China to red tart cherries from the USA and rice crackers from Japan to vegetable chips from South America. All products are guaranteed to meet the highest quality. View our Virgin Nuts Catalogue (pdf) for an overview of the wide range of products we can offer.